Charlie's World of Glittering Powers is split between the forests and vineyards of Provence and a bustling Cornish fishing village. The tale follows Charlie, a rare breed allergy-prone cigale (aka a Snuffle-Buzzer). Charlie is talkative, inquisitive, and daydreams of adventure-filled travel. Sevi, a nature-loving Cornish girl yearns to unravel the mystery that is hidden within the pages of an old winegrower's violet book. While on holiday with her parents in Provence, she soon finds that the forest and its inhabitants aren't as quiet as she initially thought... Before long, one single golden sparkle sets in motion a mystical turn of events, which lead Charlie and Sevi to embark upon a thrilling adventure. 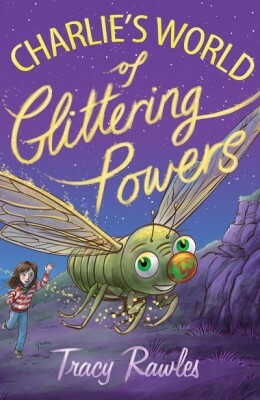 The perfect book for children aged 8 and over, Charlie's World of Glittering Powers evokes the innocence and wonder of childhood. Enjoyed this book very much. Got a copy for myself and my friends child. I found the book to be entertaining and very imaginative. I liked the cover as it drew you eye to it with it's bright colours.